We will assist with any of your product requirements. As a team, we design and manufacture any solution from simple guarding issues to complete process lines. 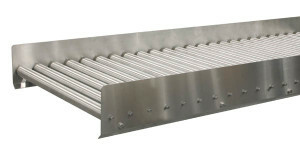 We produce conveyors of a wide variety including PVC, modular, wire belt, , elevators, augers and roller conveyors. We also produce vibratory conveyors from a single unit to a complete process line.